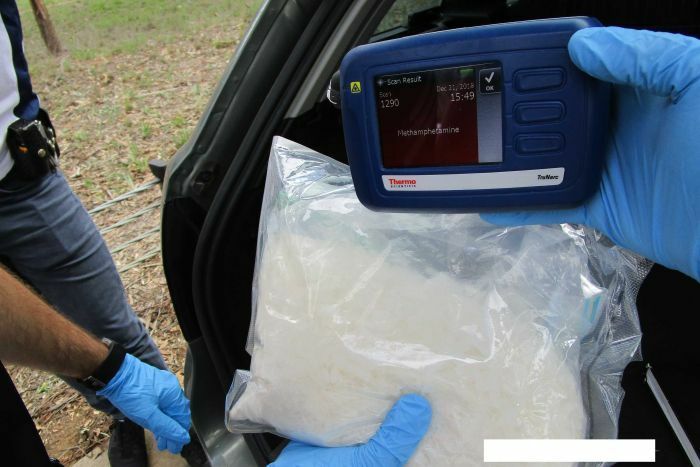 Police say the seizure of 10,000 hits of ice on a Canberra highway, with a street value of $750,000, will have a “significant impact” on the territory’s illegal drug trade. Acting on intelligence, ACT Policing officers stopped a car on the Federal Highway at about 2:50pm yesterday. 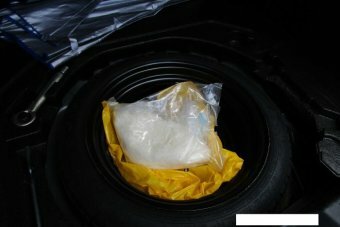 While searching the car they discovered one kilogram of what was later found to be methylamphetamine — or ice — inside a spare wheel. A 27-year-old O’Connor man was charged with trafficking a controlled drug. Detective Superintendent Scott Moller said the seizure would have large effect on crime in the community. “It’s going to have a significant impact on organised crime in the ACT,” he said. “This is a large seizure — a kilo of methamphetamine for Canberra is significant,” he said. Superintendent Moller said the alleged offender was known to police and investigations were continuing. The man was refused bail in the ACT Magistrate Court today. Police urged anyone with information to contact police or Crime Stoppers.